Escape rooms are popping up everywhere as people look to new, innovative entertainment options. While high-tech virtual reality escapes are growing in popularity, the low-tech, down-to-earth realism of physical escape rooms have their own singular attraction. “There is a growing consumer demand for social play experiences that are live and unique and can't be repeated. You can charge premium prices for it,” Sam Roberts, assistant director of Interactive Media and Games division at USC School of Cinematic Arts told the LA Times last year. The newest escapes, designed by Steel Owl Games, can be found in Philadelphia this summer. Two rooms are scheduled to open at the Franklin Institute, billed as “full-immersion reality entertainment” and are like a “live-action puzzle” for players. 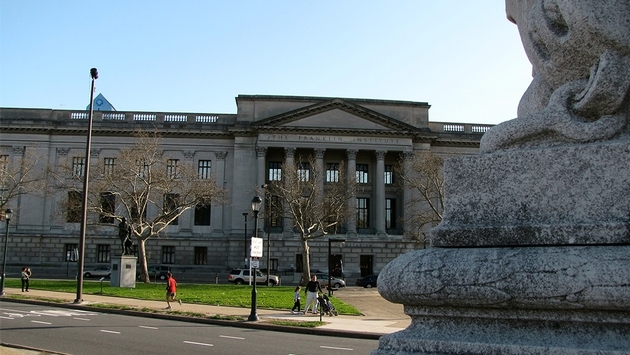 The two Escape Rooms at the Franklin Institute are the largest in Philadelphia and will span approximately 4,000 square feet. Visitors will be required to use sound logic, critical thinking, extreme collaboration and creative problem solving to free themselves. It’s best to visit in groups to maximize your level of expertise. "This is a first for The Franklin Institute and an extension of our initiatives to reach new audiences," said Larry Dubinski, president and CEO of The Franklin Institute in a statement. "Developing an escape game experience at The Franklin Institute allows us to blend the puzzle-solving challenges that carry a universal appeal, with the most advanced technology—all while encouraging critical thinking, collaboration, and problem-solving skills that are crucial in all fields of science." The two escape rooms are known as the Island Escape and the Intergalactic Escape. The Island Escape transports visitors to a deserted island paradise owned by an eccentric billionaire. Players have unique roles to play, including entertainment director, movie star, etc. In order to escape within the allotted 60 minutes, participants must do things like keep beach balls in the air, activate a fog horn and peddle a “bike carousel.” The experience is designed for eight or more players. The Intergalactic Escape is truly out of this world. Players are transported through a “wormhole” to a parallel universe where everything is upside down and inside out. The leader is Captain Derrick Pitts, and the goal of the mission is to restore balance to the universe. Wrist scanners assist the group in activating challenges and puzzles that will lead to the completion of their intergalactic quest. The experience was designed for 13 or more players. Each game has a minimum requirement of six players. Operating hours are from Wednesday to Friday from 4 p.m. to 9 p.m. on the weekdays; 10 a.m. to 10 p.m. on Saturdays; and Sundays from 10 a.m. to 7 p.m.
Prices for a single ticket are $28.